We’ve all been there. We’ve all had that extra picky tenant that when your phone goes off, you pray to the all mighty it isn’t them. While we may think we have some picky tenants, there are a lot of other land lords that just decide not to address much of the most common issues. The RPA (Rental Protection Agency) actually has a database that keeps track of the most common tenant complaints, and here are the top 10. This may come as a shocker; or not. 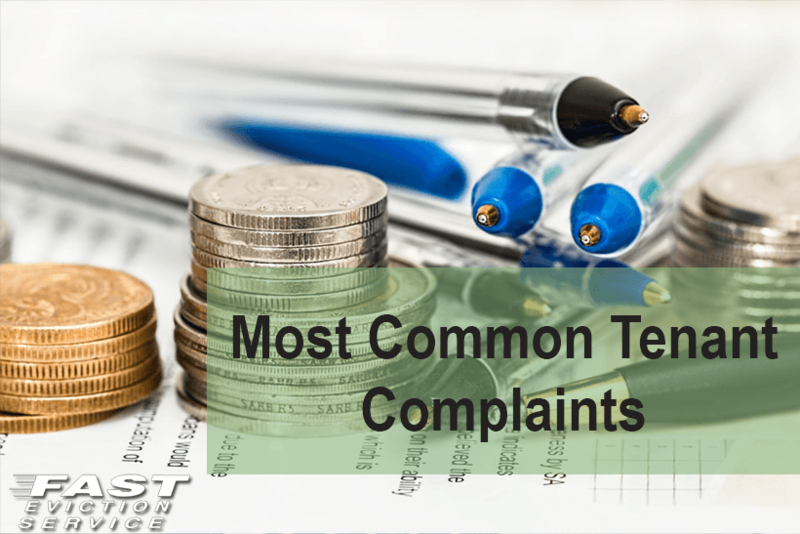 Believe it or not, security deposit related tenant complaints outnumber all others. There are many landlords out there that try everything in their creative minds to retain them. From creating false invoices for damages never made by the tenant, to just plain out refusing to give the deposit back, the excuses are many! Know this is by far the most common tenant complaint and be scrupulously honest in all of your dealings around this matter that can so easily lead to disagreements and lawsuits. I know right, gross. Bed bugs are becoming a reeking pandemic in the rental community due to negligence mostly on the part of the landlord. Bed bugs are a parasite, and should be treated as such. No run of the mill bug spray will get rid of them, instead opt for the more expensive, yet more affective professional pest control service. This will really save you from many head aches and complaints. Don’t get cheap. Regular repairs and maintenance should be considered as a cost of doing business, yet a lot of landlords fail to realize this before going in to this business. Don’t procrastinate on maintenance issues just to try to maximize your profits, in the end, you will be hurting yourself by having tenants skipping out on you and having your maintenance issues become major problems. These include noise complaints relating to noisy neighbors, constant yelling (family issues), loud music, and equipment such as pool pumps etc. We’re not just talking the upstairs neighbor walking in high heels across the kitchen, we’re talking unreasonable noise made at unreasonable hours such as late night parties and extreme arguing at 2AM. Make sure you include a noise clause in your lease to make sure all of your tenants and neighbors are aware that it’s just not cool. We’re talking faulty smoke alarms, unsafe appliances, extremely damaged flooring, gas leaks, and other unsafe uninhabitable hazards. Don’t be that landlord. Make sure all your rentals are safe in case of an emergency. We’ve covered the bed bugs, all the rest of the nasty critters go here. There are a lot of complaints about land lords failing to properly address and get rid of nasty nuisance like cockroaches, mice, ants, and spiders. Yearly pesticide control can really help you out here, I’m sure you don’t like to live in these conditions, neither do your tenants. Mold is both disgusting and very unhealthy. Mold complaints have been on the rise in recent years because of the growing concern over health issues concerning black mold (Stachybotrys Chartarum). Taking extra time and money to check behind closets, bathroom fixtures and moist prevalent areas can really save you a lot of money in the long run. I thought this would also be at the very top, but no. Much to my surprise, this comes at the bottom of the top ten most popular complaints. Having a solid and strong lease will really help you in this case. In the case you have to evict a tenant, make sure you take the proper LEGAL actions. Investigate your rights as a landlord and rights as a tenant as well. You cannot take legal matters into your own hands by shutting of utilities, setting up pad locks on doors, changing locks etc. This area includes tenants complaining about fees related to breaking leases, automatic renewals of leases, improper notifications and so on.